I'd like to introduce to you a professional player from Korea, Lee Jungwoo 8p. He was born in 1981 and became a professional in 1996. 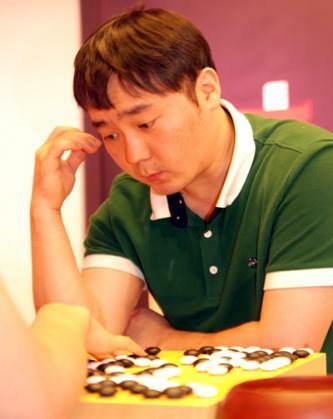 In 2011 he participated in Korean Baduk League and played for the same team "Shinan Chunil Salt" in which Lee Sedol 9p was the first board. I couldn't find much information about Lee Jungwoo 8p but it seems that he is a solid player and keeps in top 100 Korean players. You can find him playing in all major Korean tournaments and in the preliminary rounds of the world tournaments as well. Last year, he participated in Olleh KT Cup (The Olleh KT Cup is a televised tournament in which the top 100 Korean professionals compete) and lost to Park Junghwan 9p. On Tygem he plays under his real name woojunglee 9d. 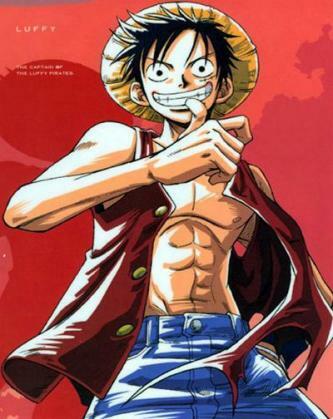 In the game his opponent was LuF(P) 9d, a Chinese professional, "One Piece" fan as he chose a picture of Monkey D Luffy as his avatar and his handle as well. I would guess he's a teenager who spent his free time watching shounen animes. 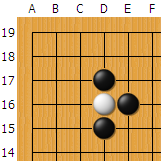 Most of the observers favored Korean player, the betting was 71-29 % in his favor. And Lee didn't upset his fans and won the game by time.